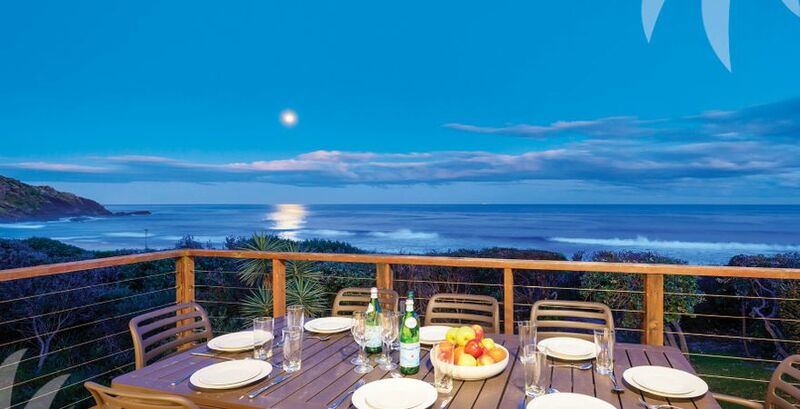 If starting the day watching the sun rise over the spectacular Pacific Ocean is your idea of holiday heaven, this is the house for you. 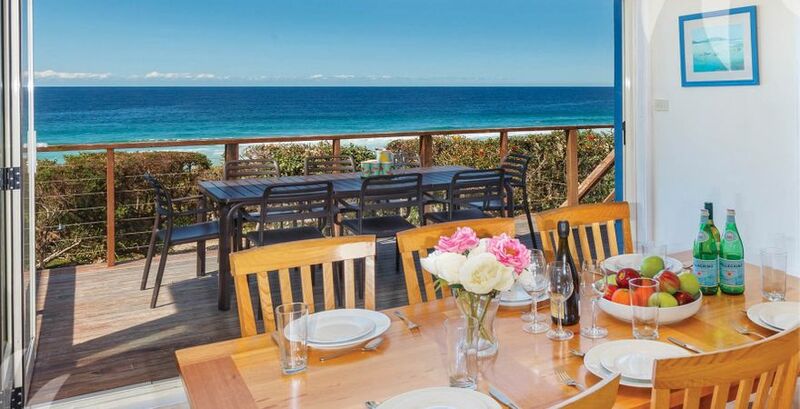 Perfectly positioned to catch the sun’s rays, and enjoying an absolute beachfront aspect, kick back on the large entertaining deck, where you'll happily watch the whales and dolphins at play. 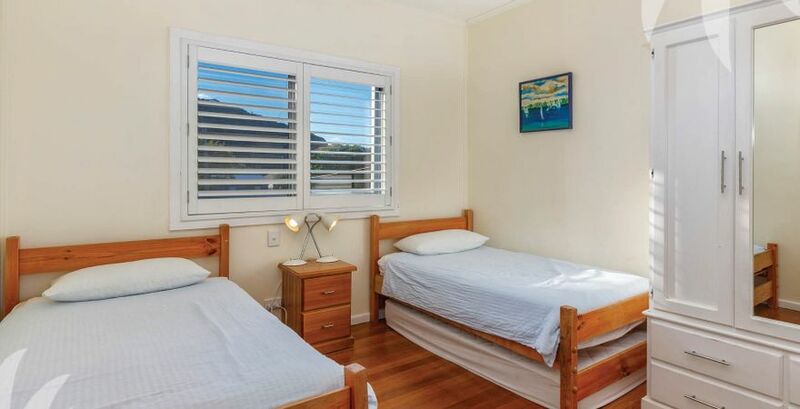 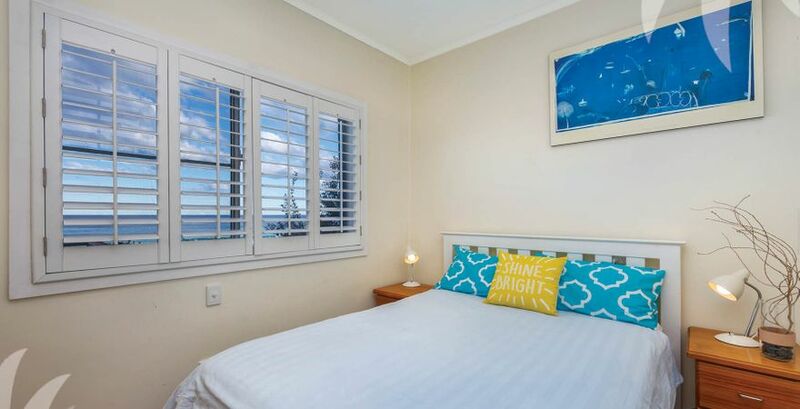 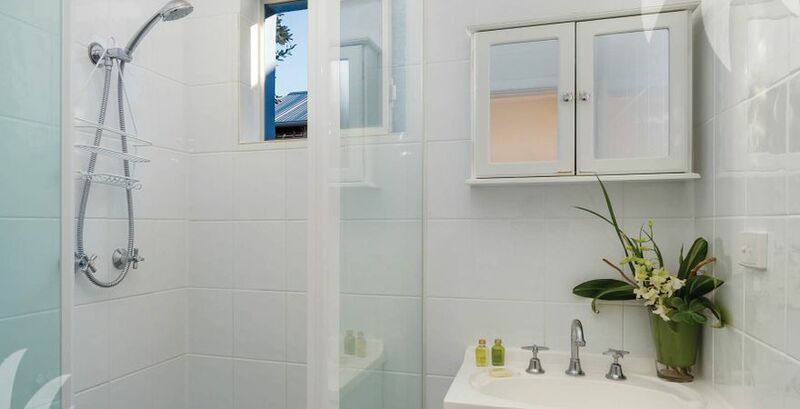 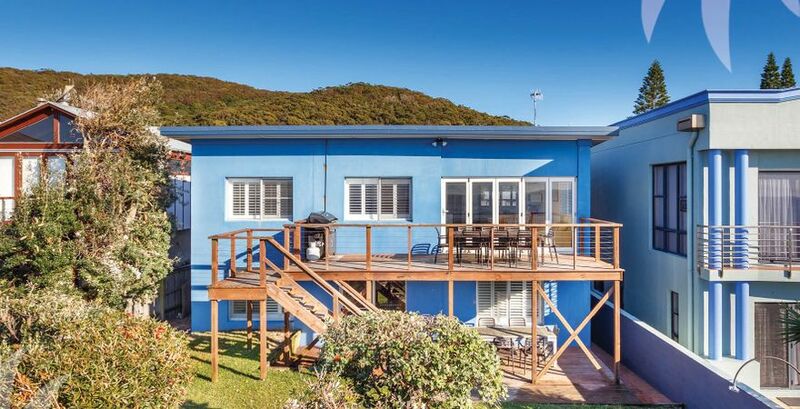 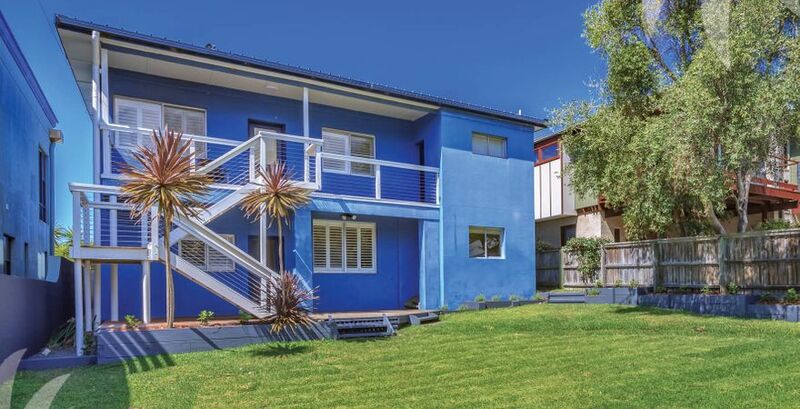 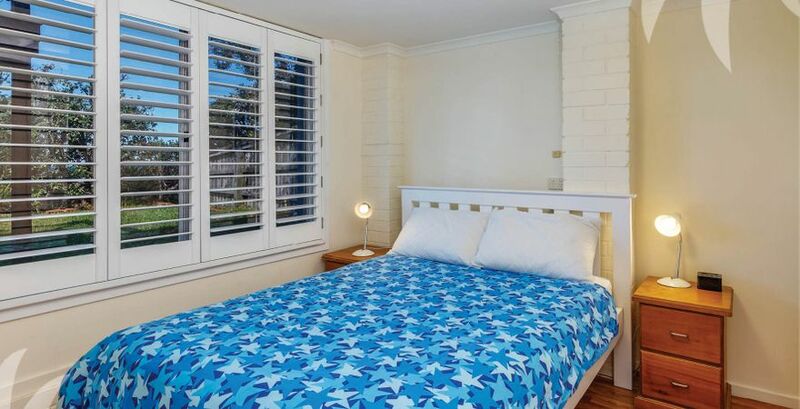 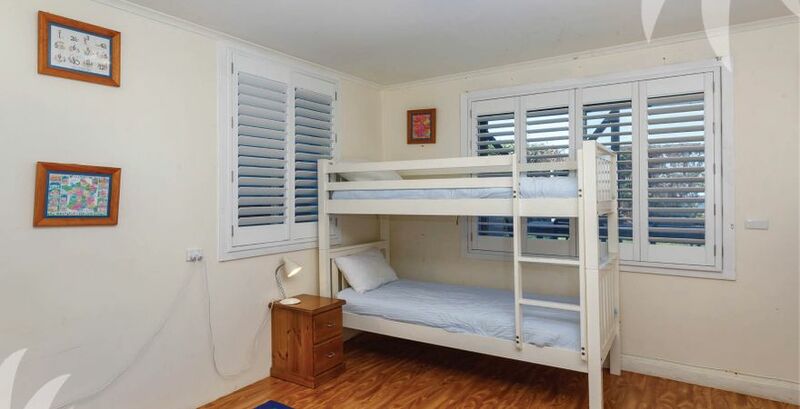 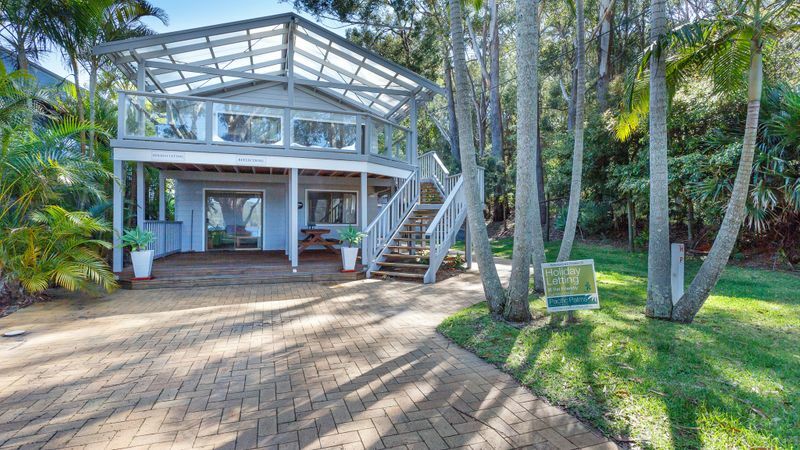 With stylish interiors including easy care timber floors, plantations shutters and on-trend stack-able glass doors up to 5 bedrooms available, this is a spacious holiday home sure to meet your needs. 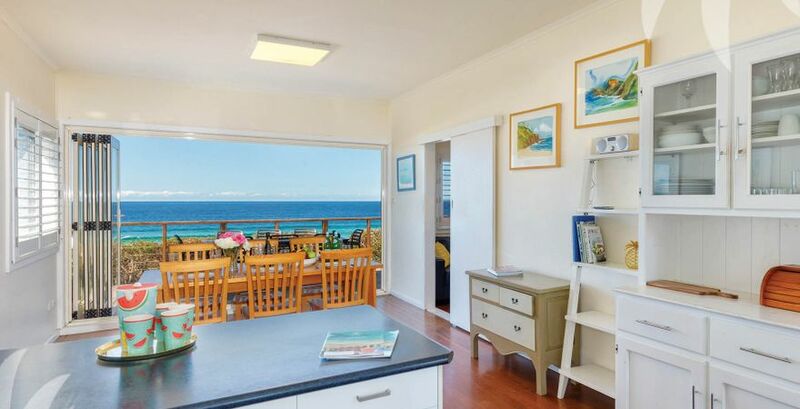 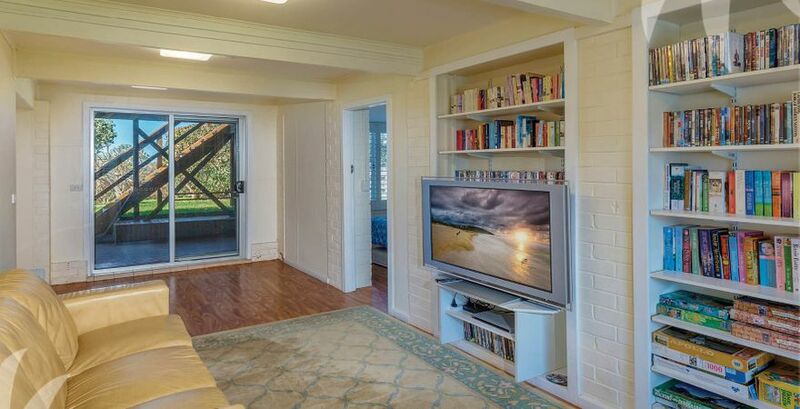 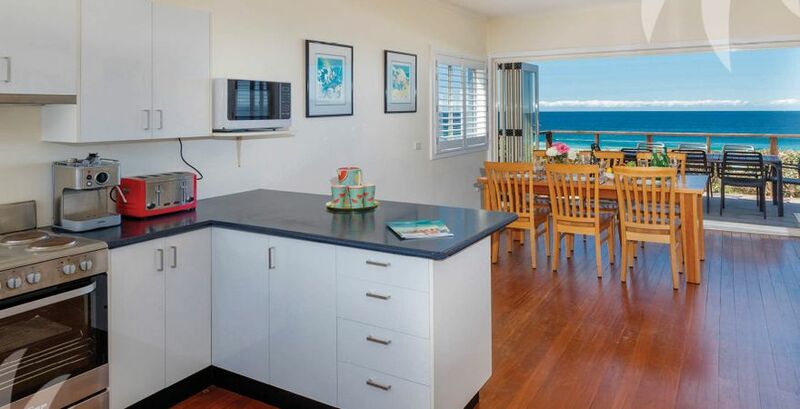 Living /Dining: Open plan living, dining, kitchen with timber flooring and folding doors opening onto ocean deck. 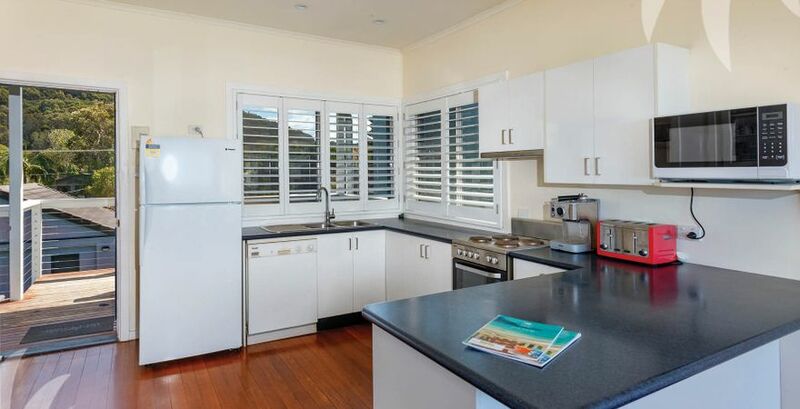 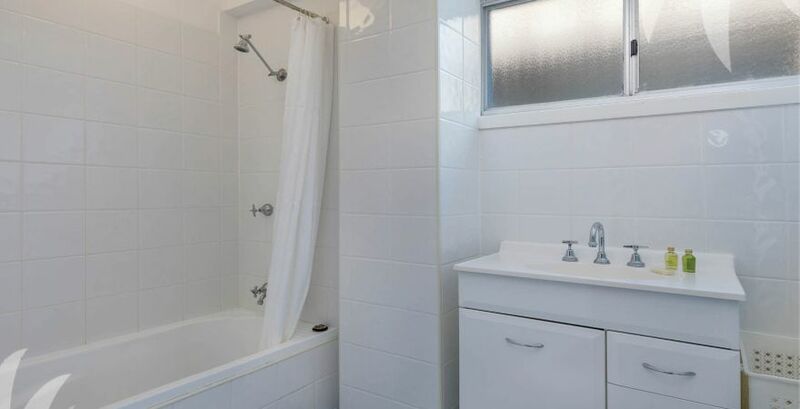 Kitchen: Fully equipped kitchen with fridge/freezer, dishwasher, free standing electric stove and oven, microwave, Nespresso pod machine and espresso coffee machine. 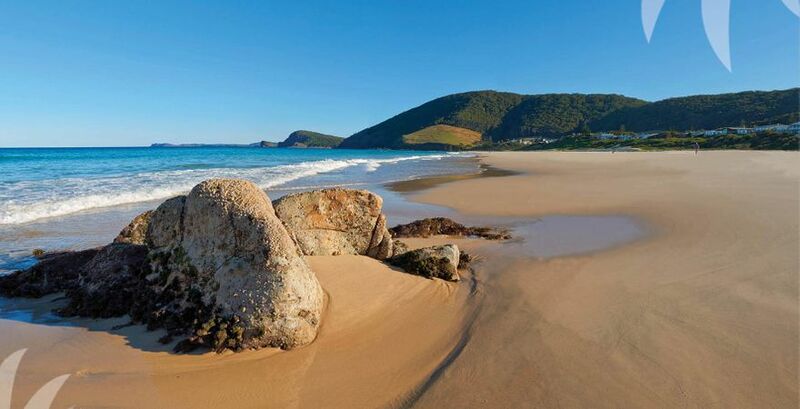 en-route to Yarric Mountain (the hill on the southern end of Bluey's Beach), locals proudly proclaim this to be one of the world’s finest beaches. 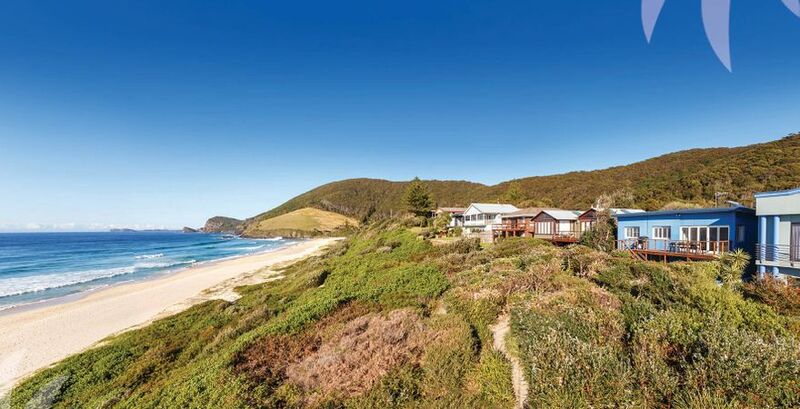 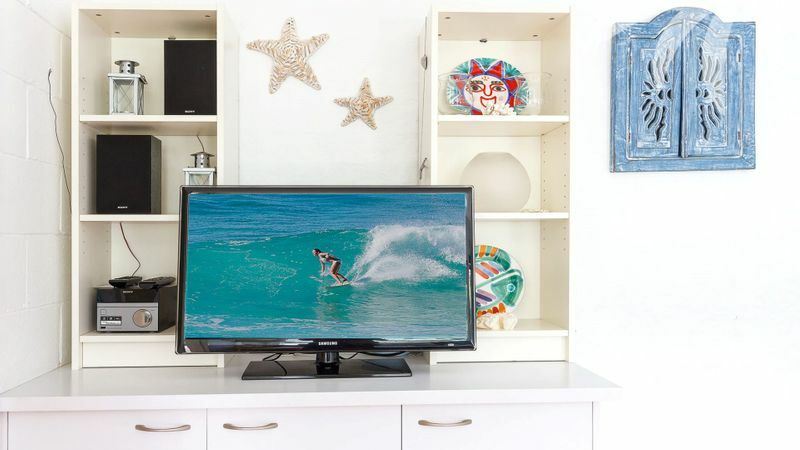 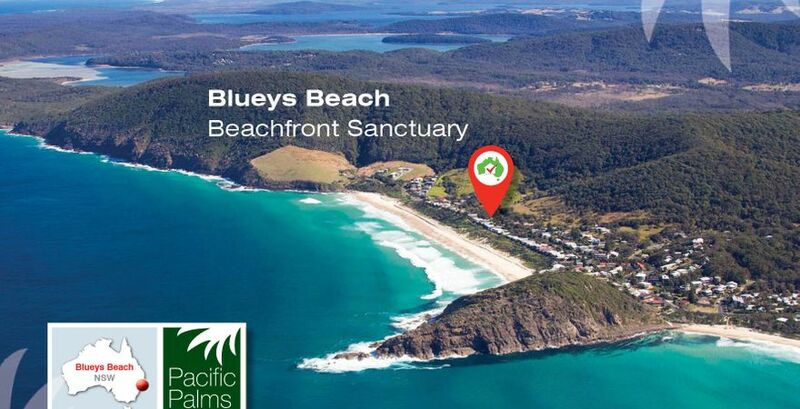 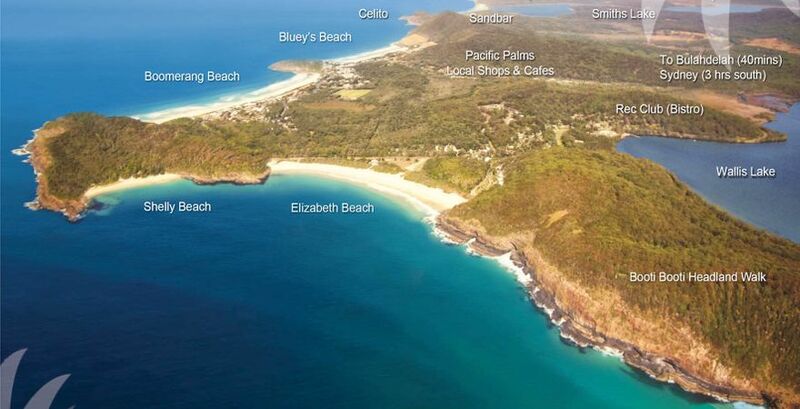 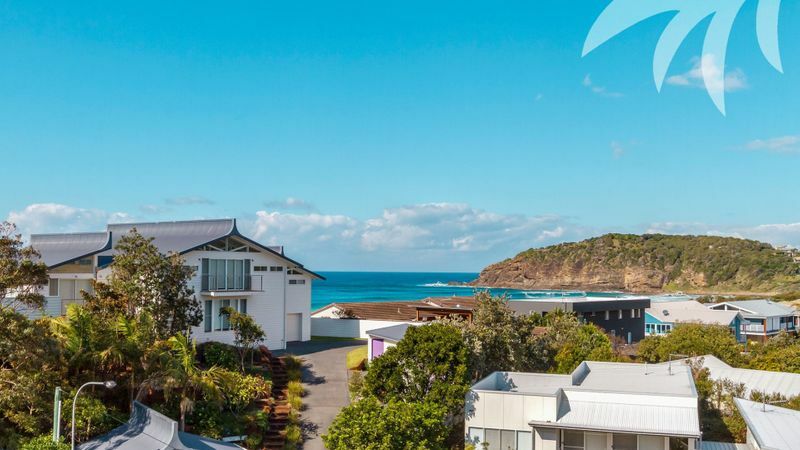 Offering protected corners for those who want to watch the swell from afar, this lush stretch of coastline is framed by forest-covered headlands and nestled between Sandbar Beach to the south, and Boomerang Beach to the north.